This show was powerful for so many reasons. If you missed it, download the entire show here or press play below. You can also Subscribe to our PODCASTS on iTunes and never miss our shows. For the individual segments, see below. 1. Why is Marissa Alexander facing prison for not hurting anyone? Florida’s “Stand Your Ground” law has recently come under intense scrutiny in the aftermath of the tragic shooting death of Miami teen Trayvon Martin (this is one of our takes on it). But what happens when victims of domestic violence need to “stand their ground” to defend themselves. Enter the case of Marissa Alexander. Marissa is facing a potential 20 year prison sentence for standing her ground against her abusive husband after firing a warning shot from a legally owned gun into the air during a heated “dispute.” The mother of three faces the prison time even though no one was hurt and her abusive husband admitted to a history of abuse (see the deposition of the “victim” husband here). This week on Let’s Talk About It we spoke with her ex-husband and current advocate Lincoln Alexander who told us about the events and her current husband’s history of violence toward women. We also spoke with Marissa’s sister Helena Jenkins who was on the phone with Marissa at the time of the incident. 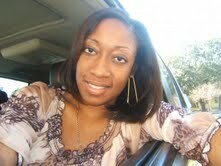 To support Marissa Alexander’s Change.org petition, visit here. To listen to the segment, download it here or press play below. 2. Why the Buffet rule? The non-debate debate. Do the rich pay their fair share in taxes and what would the recently touted “Buffet Rule,” a stipulation that households earning over a million dollars a year pay a minimum tax rate of 30%, do to make them? We discussed this question and the broader question of income inequality with Marshall Auerback (Levy Institute) and Alex Brill (American Enterprise Institute) who both seemed to agree that the “Buffet Rule” was gimmicky and would not do much for either deficit reduction or income inequality. Auerback described it as a “red herring” and Brill called it a rhetorical debate and not a policy debate. Hear why by downloading here or pressing play below. On the 2nd anniversary of the BP Oil Spill in the Gulf of Mexico we stop to ask how far we’ve come since then. We spoke with Doug Inkley of the Nation Wildlife Federation about what’s happened since the spill two years ago and what NWF is doing to help the Gulf. He says that NWF’s biggest task right now is fighting government secrecy and informing the public about the lingering effects of the biggest ecological disaster in U.S. history. He also urges everyone to support the “Restore Act” which would make sure that all of the fines paid by those responsible for the disaster would go to fund projects in the Gulf rather than to general treasury. We were also joined by friend of the show Captain Dan Kipnis of the Miami Dade County Climate Change Task Force. As always, Captain Dan leaves us with a smile on our faces and fear in our hearts for the future of the environment. Listen in by downloading here or pressing play below. Don’t forget to tune in every Wednesday at 7pm, right here.